Refreshes and soothes the skin. 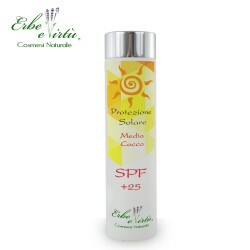 This formulation is for tanned skin with an anti-aging action with a coconut fragrance. The Coconut After Sun Lotion is a special formulation that repairs damage caused by UV and infrared rays. It performs an effective anti-aging and antioxidant action against free radicals by helping to stop skin aging. It soothes, refreshes and calms the reddening of the skin caused by wind, saltiness and sun exposure / solar lamps. Re-hydrates the skin, restoring the amount of water lost for an immediate feeling of relief and well-being; nourishes deeply preventing cracks for a beautiful and lasting tanning. 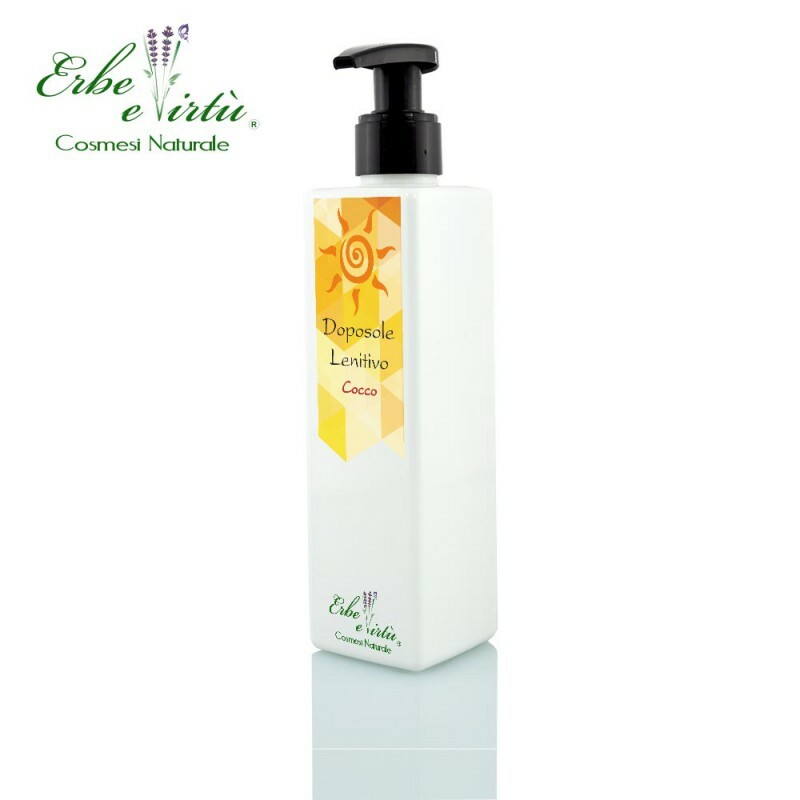 It is easily absorbed leaving delicately perfumed skin. Wheat Protein, Sweet Almond Oil, Grape Extract, Sweet Orange Essential Oil, Lemon Essential Oil, Hyaluronic Acid, Collagen, Glycyrrhido Acid (Licorice Root Extract), Panthenol, Lactic Acid, Allantoin, Vitamin E, Vitamin C .